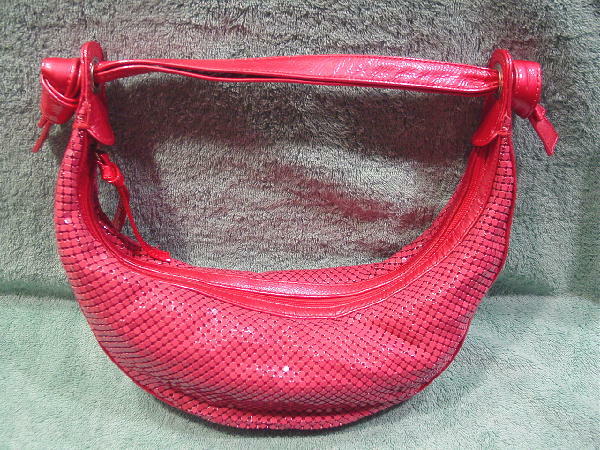 This never-used hot pink evening handbag has an aluminum mesh exterior with an Italian leather trim. It's in an arc shape. The lining is a very soft white polyester. The interior has a small zippered back pocket with a pink leather tag with jana feifer etched on its front. It comes with an info and care card. 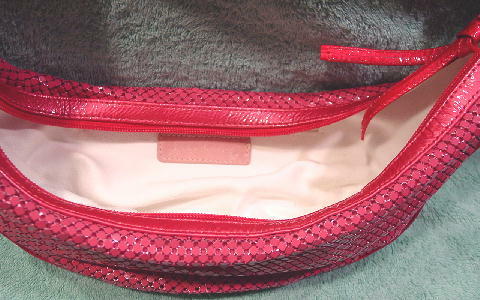 There is a top side to side hot pink zippered opening with a long zipper pull. The handle has double straps which are knotted on the sides. It can also be worn in the daytime. She got it as a birthday present.